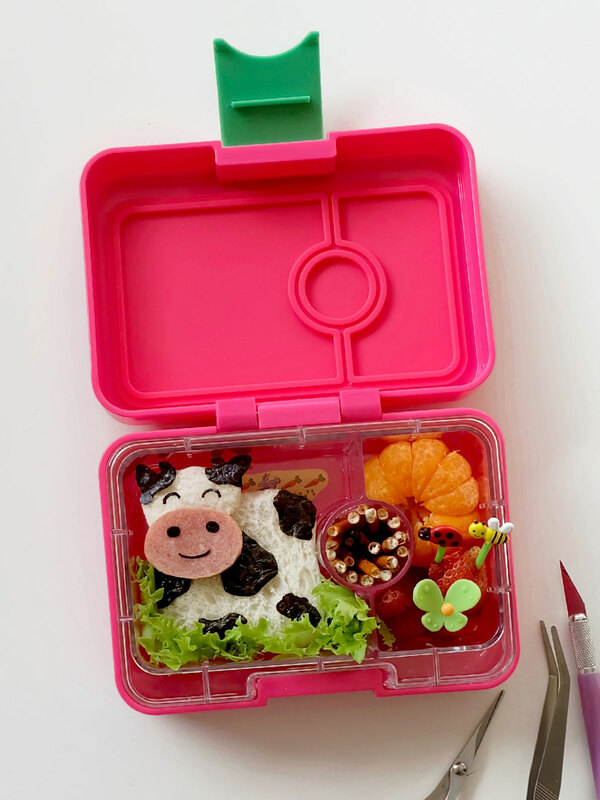 Our criteria for the perfect lunchbox? Durable, compact, colorful, kid-friendly, leak-proof and one that would make packing food easier. 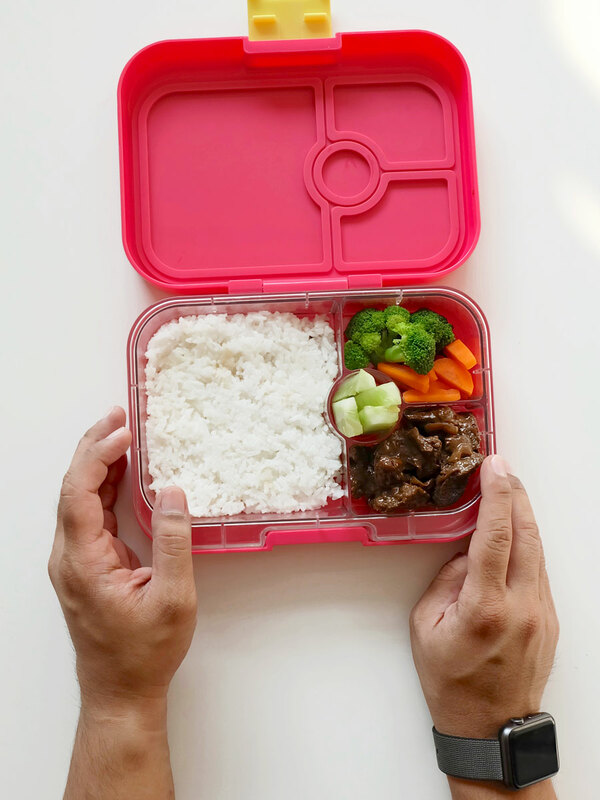 We checked out several different containers, but there was only one that fit the bill– The Yumbox! 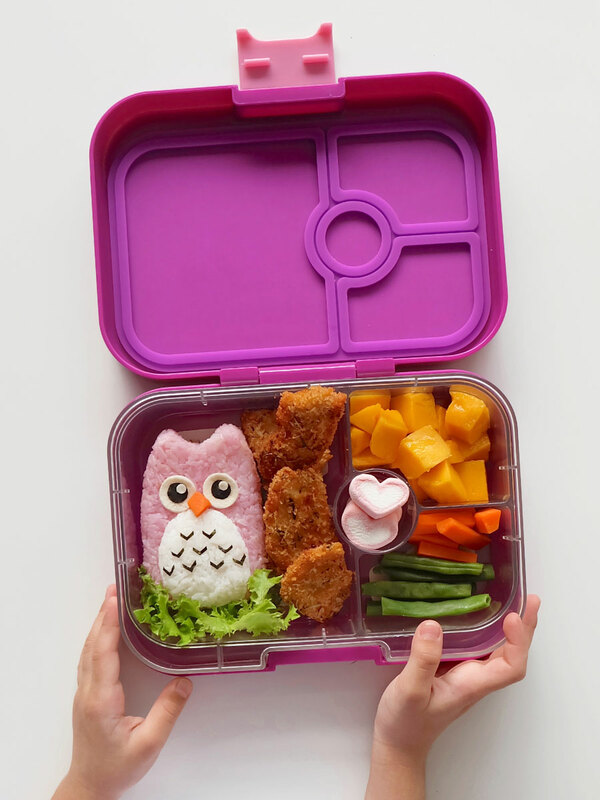 The Yumbox is a leakproof, bento-style lunch container that teaches kids healthy eating habits through balance and portion control. It is compact, lightweight, and durable, made with all food-safe materials. 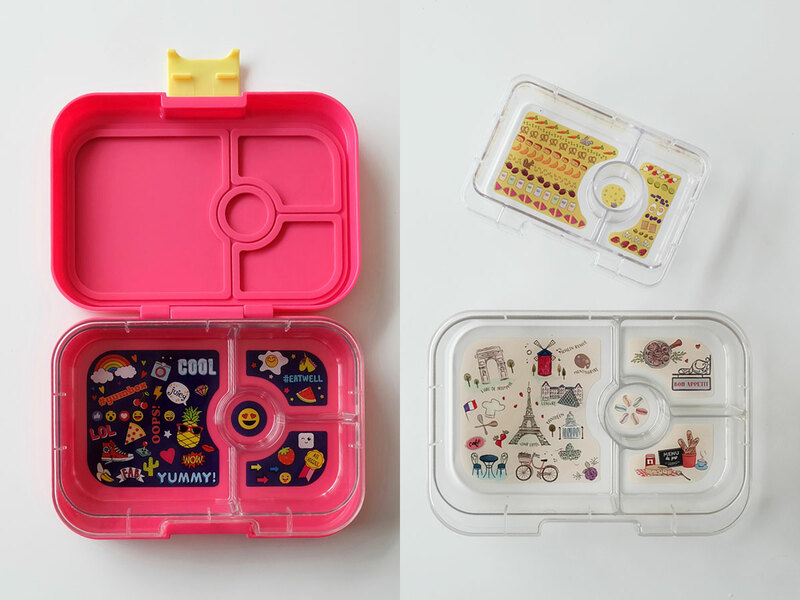 We got our yumboxes from Brightbrands PH, and we are totally in love with them! The Yumbox comes in a variety of sizes and compartment options. 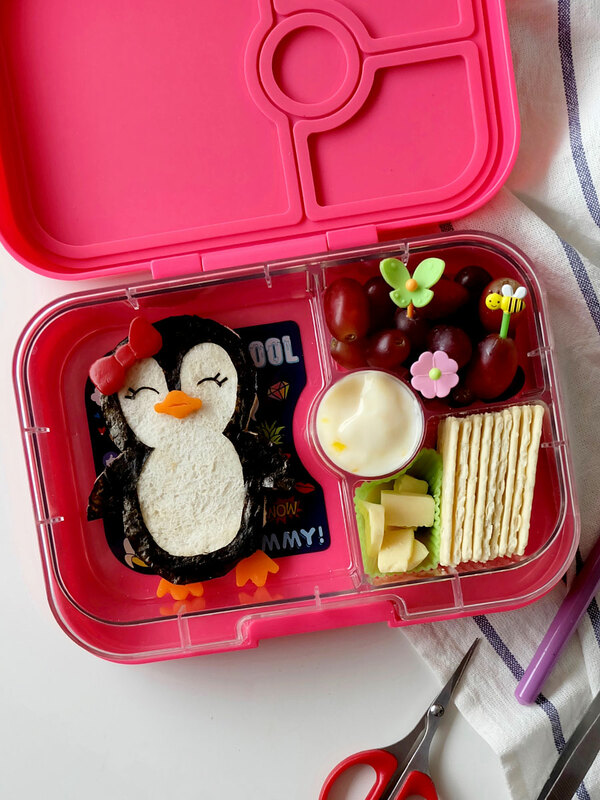 For Zoë’s packed school lunch, we chose the Yumbox Panino. It has 4 pre-portioned illustrated compartments, its size, just perfect for packing a full and healthy meal. The compartments are awesome, as each one serves as a guide for portion control. I can easily fill up each space with healthy varieties. 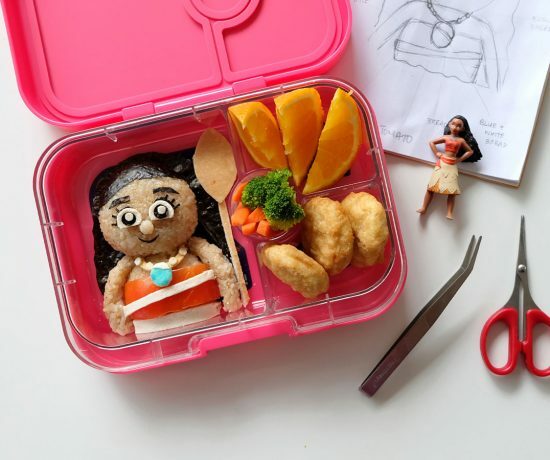 I regularly make character bento (charaben) food art in Zoë’s packed meals, so the Yumbox Panino, with its bigger compartment on the left, gives me plenty of room for creativity. It’s so versatile that I can easily move food around the different compartments, depending on the design I want to create and the food that I want to serve. 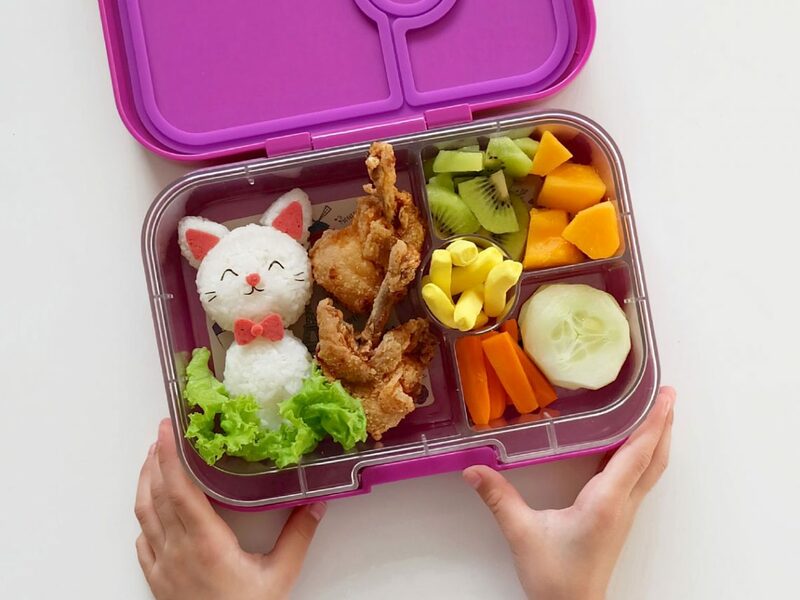 For this Yumbox lunch I prepared Zoë an owl rice onigiri, herb-crusted chicken tenders, mangoes, carrots, green beans, and a side heart marshmallows. 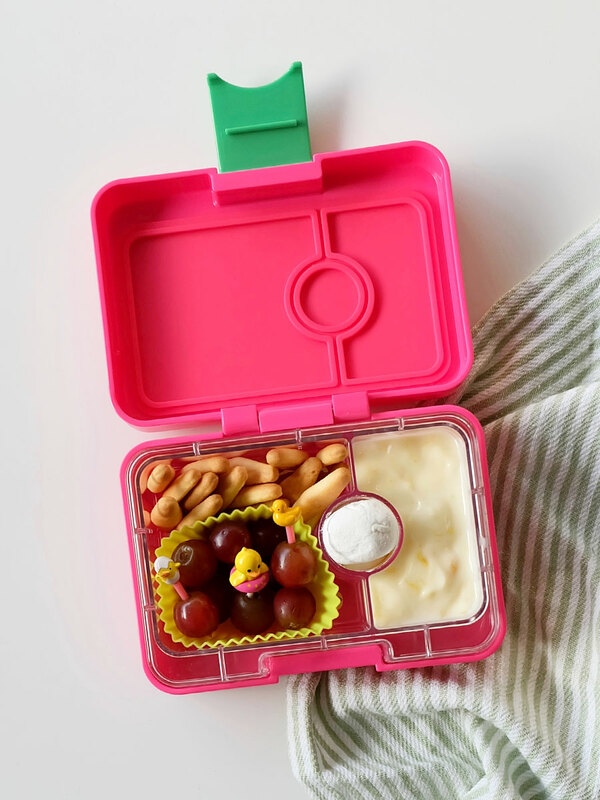 For Zoe’s 15-minute snack break in school, we use the Yumbox MiniSnack. It’s considerably smaller in size, with 3 smaller compartments, but it’s deep enough that you won’t have problems packing it with options. For this snack, I was able to squeeze in a peanut butter sandwich cow, ponkiat, strawberries, and some pretzel sticks. What I love the most about the Yumbox is that the containers are leakproof. 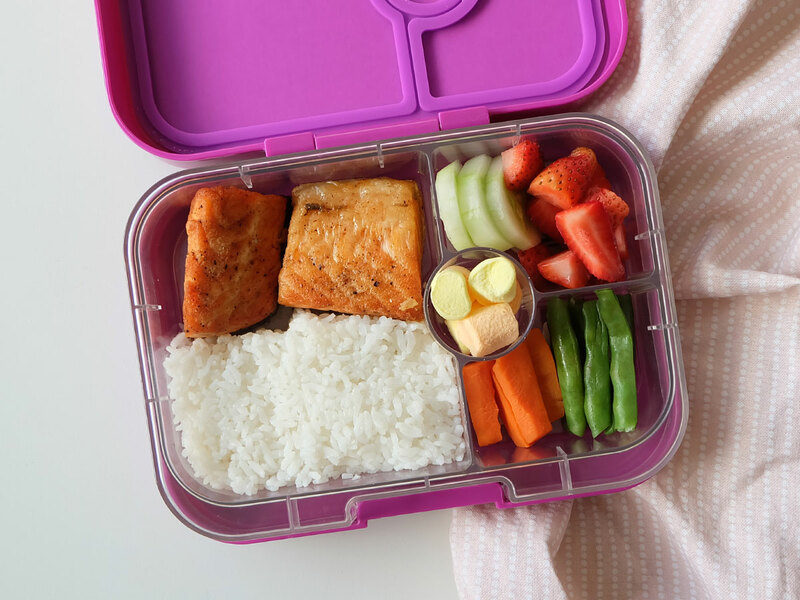 Yumbox’s unique single lid seals all food wells individually. I can finally pack yogurt together with Zoë’s other snacks, without worrying about spills! No mess! Food really stays in place inside the Yumbox. I never have to worry about food spilling over into the other compartments. For sauce lovers, that means you can also add sauces and dips into the smallest food well, with no worries! I also love how colorful the containers are. 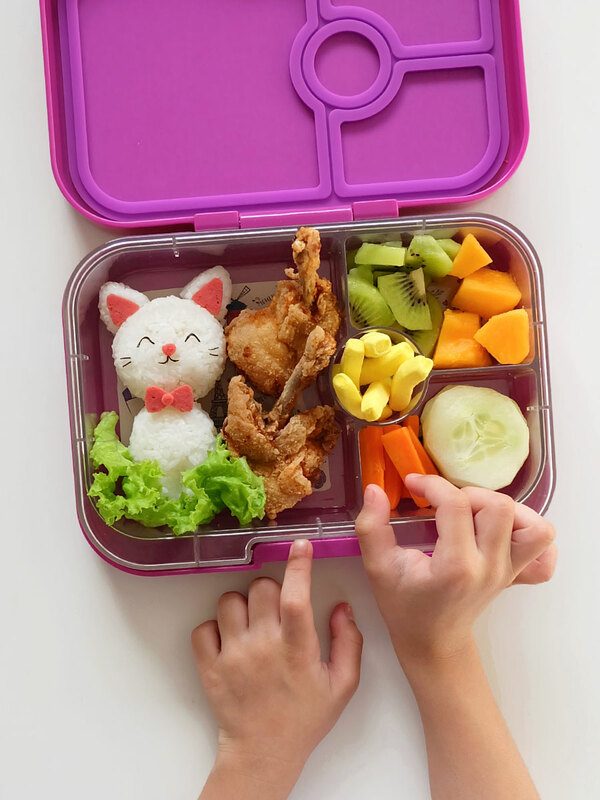 We have Yumbox Panino containers in both Kawaii Pink and Bijoux Purple, and the Yumbox MiniSnack in Cherie Pink; the bright colors really add excitement to each packed lunch. Just look at how fun the meal looks! 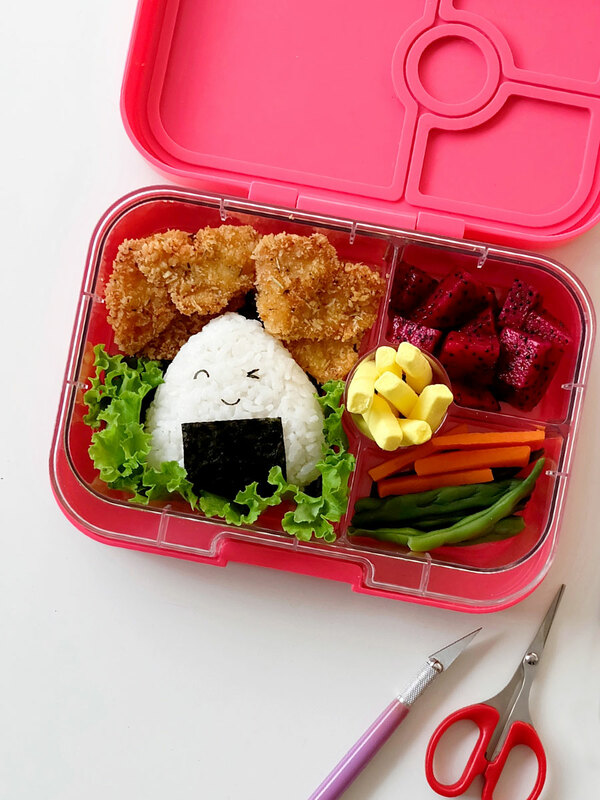 Even when I don’t make character bentos, meals still look pretty fancy inside the Yumbox. 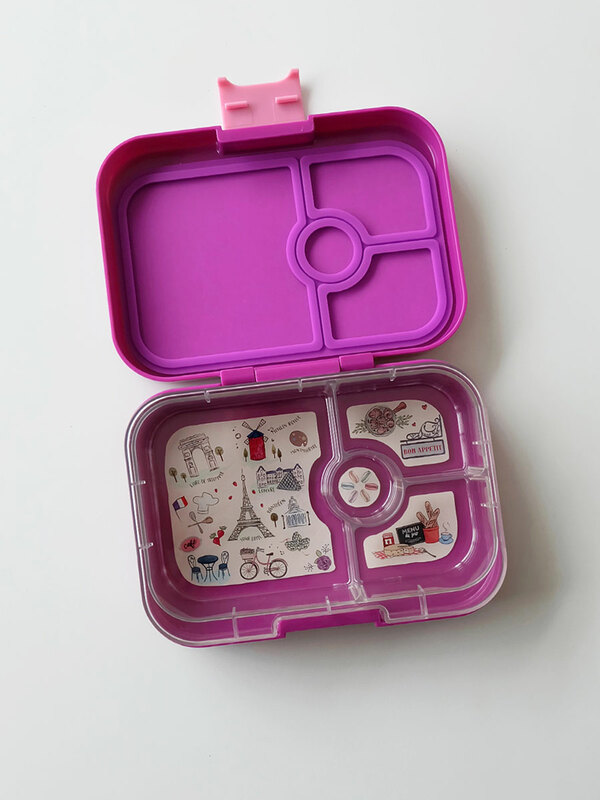 And its so pretty, even the husband wanted his own Yumbox packed lunch, borrowing Zoë’s Panino in Kawaii Pink! Who says pink are only for girls? Heh! 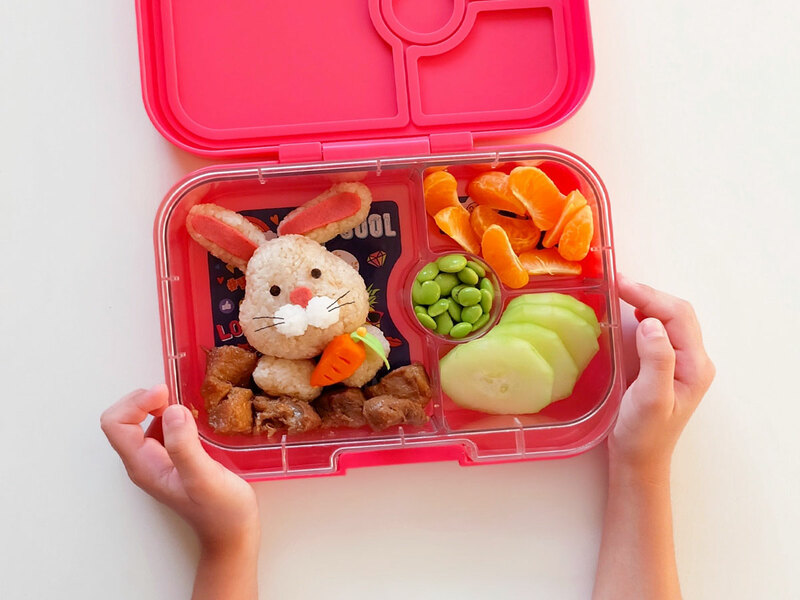 The Yumbox containers are BPA-free and phthalates-free, so they are definitely safe for kids meals. They are lightweight and compact with a latch that’s easy to open, even for my little girl’s tiny hands. Plus points for their detachable trays, because it makes them easy to clean, and they can even be mixed and matched! 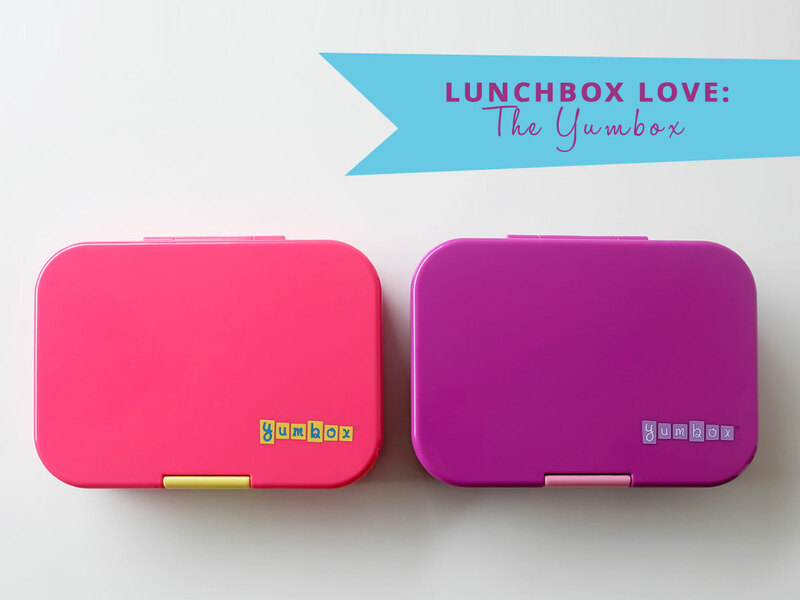 We love everything about the Yumbox, but the best part of all? 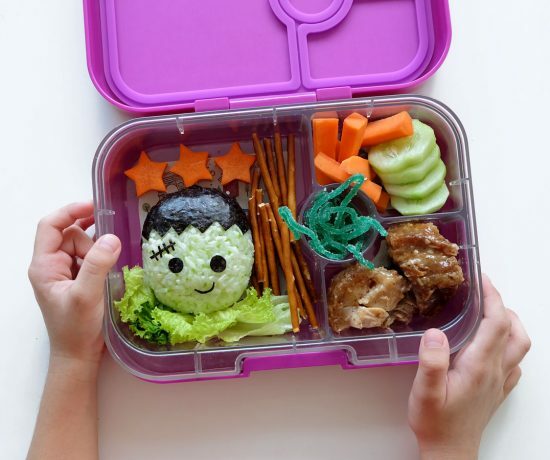 Seeing the delight in my daughter’s eyes every time she sees her packed meals! 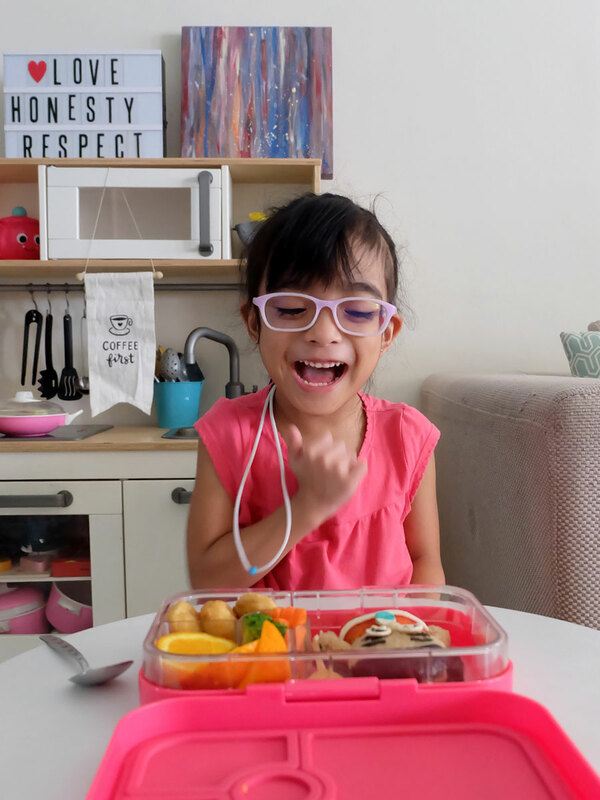 The idea of having a selection food to choose from inside her lunchbox really excites her. She enjoys her meal times in school, and she has been coming home with empty containers! Sigh! Seeing my little one happy? That’s all it takes to keep my mommy heart full! Thank you, Yumbox! Thank you, Brightbrands PH! Want your own Yumbox? 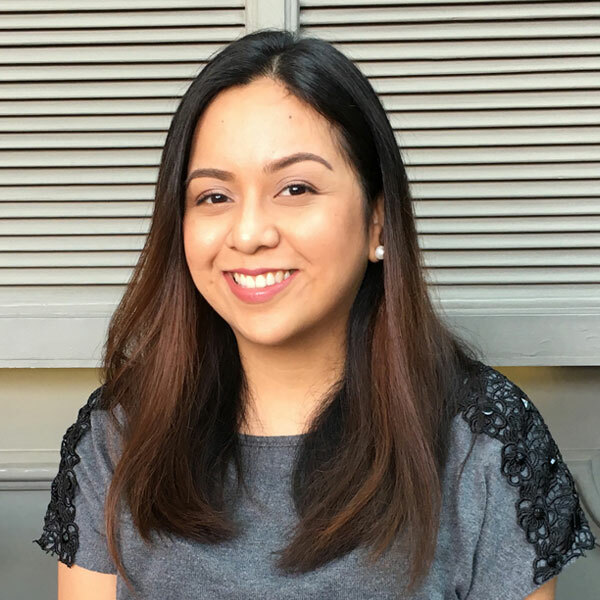 They are available in the Philippines through BrightBrands PH (email them at [email protected]), or you may find them at Rustan’s Department Stores.